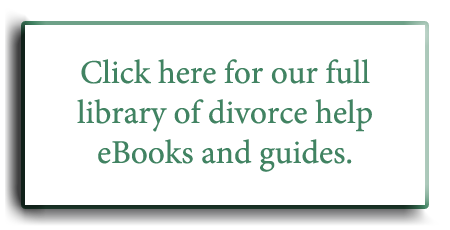 Last week, we discussed how to talk about your divorce with your coworkers and colleagues. This week, we will tackle the issue of telling your boss that your marriage has come to an end. Why do you need to tell your boss about your divorce? While it isn’t required, it’s likely that you will need to make changes to your health care plan, your tax status, and other human resources paperwork. It is also likely that you will need to miss some work due to court appointments, counseling appointments, or divorce mediation. Finally, it’s likely that you will want your boss to know and understand that you are going through a difficult time at home. How Should You Tell Your Boss About Your Divorce? Avoid being too confessional. When you tell your boss about your divorce, do so in the context of your job and responsibilities. Let her/him know whether you will miss work, whether you will need help with your workload, and any other professional details. You don’t need to explain what went wrong in your marriage. Let your boss know what she can expect. 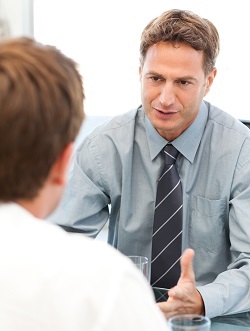 Provide as much information as possible regarding how the divorce will affect your job. Be honest, this is your chance to let her know if you will need extra time, attention, or understanding. Don’t use the divorce as an excuse. Unfortunately, the work world goes on no matter what is happening in your personal life. Realize that you will need to continue performing at work during the divorce process. While you should count on understanding and help from your manager and coworkers, you should also realize that there are still consequences for not doing your job. Ask if you need to do paperwork. When your marital status changes, you will probably need to update your information with the human resources department, such as tax information and health care information. There's no reason that divorce should cause you to take time off from work. With a good divorce law firm, most of your paperwork will be handled by the office, and you will only need to respond to the occasional phone call and signature request. Court hearings rarely take longer than a few hours, so half-days from work can be expected. Otherwise, you should look at your job as a safe constant in your life, something that will remain consistent through the chaotic times of divorce. That doesn't mean you should immerse yourself entirely in work, socializing and spending time with your family is also crucial during a divorce. Maintain the same job/life balance as you did before the separation to ensure you keep your employer happy and your mind at ease. Telling people outside of your friends and family about your divorce can be especially difficult. You are sharing a private part of your life with someone who is outside of that sphere. Considering the likely varied backgrounds of your coworkers, practice filtering divorce advice and try not to get to exasperated with people offering well-meaning advice that goes against your personal beliefs. However, since a divorce will have an effect on some aspects of your working life, telling your boss is often necessary. If you run into problems balancing your divorce case with your regular work duties, it's time to get an attorney. The Law Offices of Molly B. Kenny are here to help you complete your divorce while keeping your career intact. Contact us online or call us at 425-460-0550.